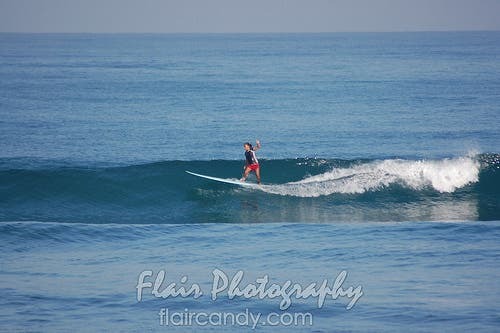 When In Manila catch some surf and sun in San Juan, La Union Philippines at the Billabong surf school beach camp. It’s only a five hour drive from Manila and is well worth the chance to get out of the busy city. To be honest, I may be too lazy to drive myself out five hours away, only to drive back the very same day. Fortunately, my partner in crime, Hannah of FlairCandy.com is not one to turn away an adventure. 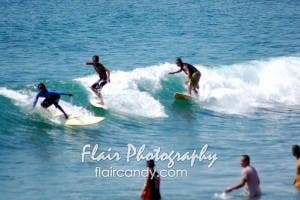 We went on a day trip to the beach front of the Billabong Surf School in San Juan, La Union to catch some waves. 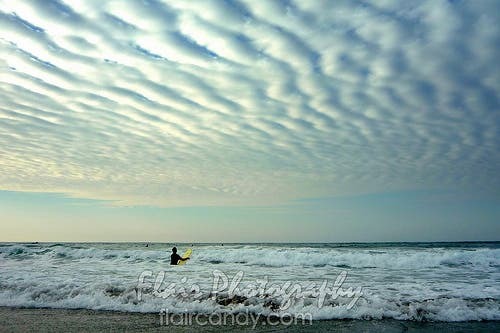 The surf season here in the northern part of the Philippines, and in La Union specifically, happens approximately from July to March every year. 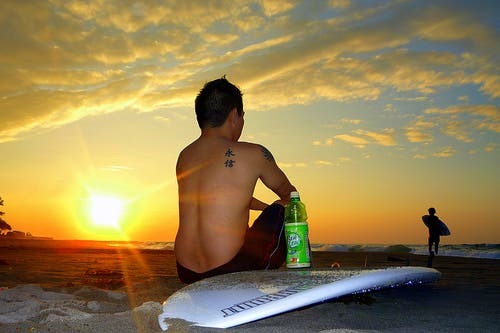 The beaches in La Union are great for both beginners and pros. There is a slow gradual slope, with soft white sand where the waves come in smoothly for the newbies while some shallower reefy sections of the beach provide some bigger waves for the pros. Board rentals go at about 200 Pesos ($4 US Dollars) per hour or about 800 Pesos ($16 US Dollars) for the whole day. Even better, surf instructors also only cost 200 Pesos ($4 US Dollars) per hour. 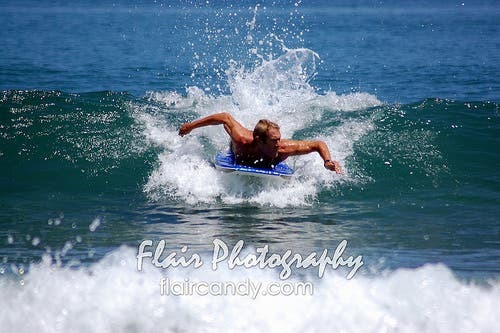 So you’re sure to catch that first wave with great instructors to guide you every step of the way. Anyway, check out the video at about 0:45 where the sky starts to look like the ocean with it’s own waves. Pretty AMAZING view if you asked me. I highly recommend going to La Union if you have that surfing itch. It’s also a great place for the newbies to pick up a board for the first time and catch some waves. 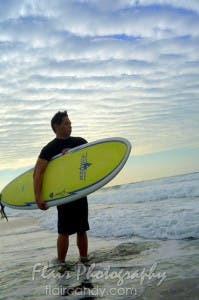 So next time, When In Manila, take a drive out to San Juan, La Union and catch some waves at this tropical surf spot. 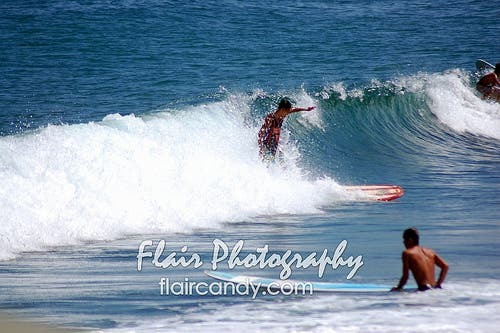 San Juan Surf Resort is situated just north of San Fernando, La Union ,Philippines on the MacArthur highway click here for directions and for pricing inquiries.